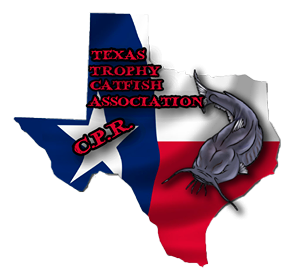 Texas Trophy Catfish Association is a 501(c)(3) Non-Profit Charity Organization geared toward the conservation of trophy Catfish in Texas waters. Through our FREE “Kids Fish Fest” events we have had the opportunity to teach over 600 children how to fish, instruct them with knot tying and fish identification stations, allow them to see Trophy Catfish up close and personal. Our events differ from others in that faithful volunteers fish overnight before each fish fest to catch “monster” catfish for the kids to see up close and personal. A rejuvenation tank is set up and the fish are watched around the clock to ensure they remain healthy and strong, making sure they don’t decompensate so the children can actually experience how majestic these trophies are. They’re able to touch their fins, see their teeth, and feel their strength. The kids then get to watch us tag the fish as we explain how to properly handle them, and then witness their safe release back into the water. These experiences allow them to have first-hand knowledge and create lifelong memories, instead of the usual hypothetical “thou shalt save the fish” speech they would get elsewhere. The survival rate of our trophies is 100%. We’ve been able to negotiate with tournament leaders across Texas to change regulations regarding weigh-in protocol. We’ve had the opportunity to work with great tournament directors with Possum Kingdom Catmasters, Adapt & Overcome 501c3 Non-Profit Annual Catfish Tournament, Hearts of the Father Kings and Queens Catfish Tournament, and many more. Tournament rules have changed to where fish brought in dead are either unable to be weighed or 10% of the weight is deducted. To date we’ve had 0 trophy casualties, which is a vast improvement from tournaments in previous years. We must educate others about how to help! We must spread awareness of this issue before it is too late!